1. The VIN needs to have either an A code or K code in the 5th position. Transmission doesn't matter it could be manual or automatic (the engine code is the 5th character in the VIN on Mustangs). The build date should be sometime after mid February 1965. 2. There are special reinforcements for dual exhaust both under the rear seat and in the rear frame rails. Also the rear brake line hose bracket was relocated more to the left to allow for the dual exhaust. This is also true for the "K" High Performance Mustangs and all factory optioned dual exhaust Mustangs. 3. All GTs received ornamental trumpet exhaust tips exiting through a special rear valance with trim rings. 4. The factory GT received a special handling package which included a faster steering box 16:1 ratio Tag: HCC-AX (MS) or HCC-AW (PS) , larger sway bar (13/16" diameter) ,stiffer front coils and rear springs (front coils approx 8.25 coils, 1413 lb or 1491 lb rear springs four leaf design 610 lb or 650 lb )and heavy duty shock absorbers This is also true for the "K" High Performance Mustangs and all Mustangs that had the optional special handling package. 5. 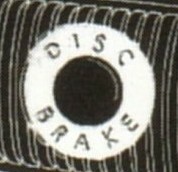 The factory GT received front disc brakes which included a larger single master cylinder and a special proportional valve The brake pedal also had "Disc Brakes" on it. 6. 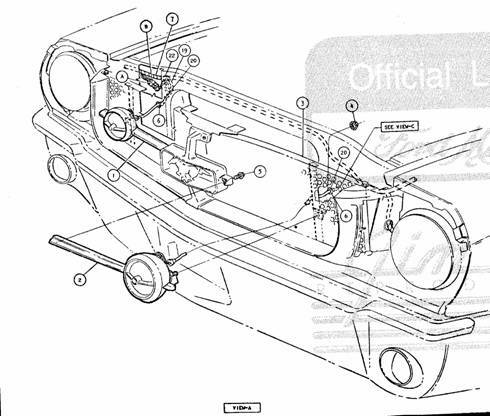 The factory GT received fog lights with horizontal bars and they received at least one hole in the radiator support. 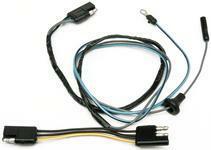 They also received fog light wiring, circuit breaker and a fog light switch. 7. Factory GT cars received special stripes on the lower fender, doors and rear quarter panel. They also received M U S T A N G letters and GT badges. The rocker panel molding were deleted as well as the rear scoop ornamentation (coupe and convertible only, fastbacks always had rear scoop ornamentation deleted). Some people have told me that the scoop ornamentation and rocker panel moldings could be special ordered. But they were most likely only a dealer install on GTs and very rare if true. 8. 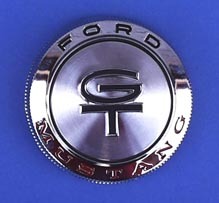 Standard Mustang emblems were deleted from front fenders. Update: Additionally, the bracket bolt holes were sealed with small plugs. The 1965 Mustang GT is a unique beast and the hardest to fake. Let me state the unique aspects of the 65 GT as compared to all other 65 Mustangs aside from the things listed above. 1. 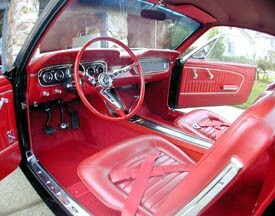 The 65 GT Mustang received five dial instrument gauges and flat glove box door with a "mustache" upper edge. The dash panel had to be modified to fit the 5 dial instrument gauges. The true factory GTs will have a rounded indent in the dash panel to accept the gauge cluster just like the standard 1966 dash panel. This is also true of all 65 Mustangs that got the optional deluxe or pony interior except the instrument cluster bezel and glove box door had a woodgrain appliqué. 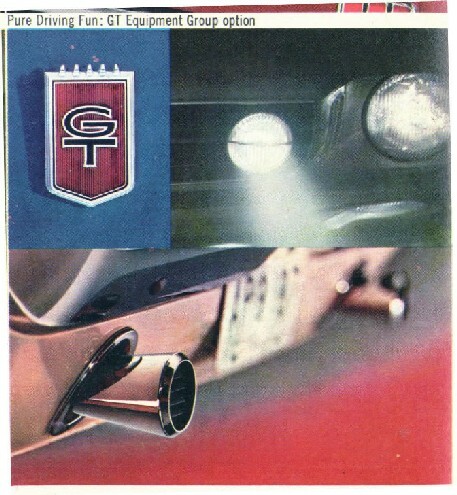 The GT standard interior instrument gauge bezel and glove box door was unique to 65 only (camera case finish with mustache upper edge). Both years got the woodgrain and mustache upper edge instrument cluster and glove box door with pony interior GT or not. 2. The location of the fog light switch could be one of two places under the dash or on the face of the dash panel. Face switches had decorative chrome nuts, bottom switches had cad hex nuts. 3. 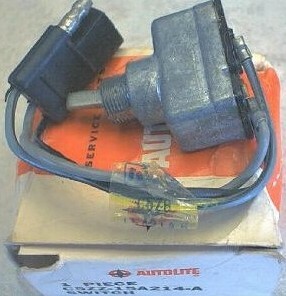 The fog light switch is unique (1 male 2 female connector) and the wiring is integrated into the main harness. 6. The instrument cluster is designed so that the ammeter is measuring actual current as the wire is fed through a sensing loop in amp gauge. 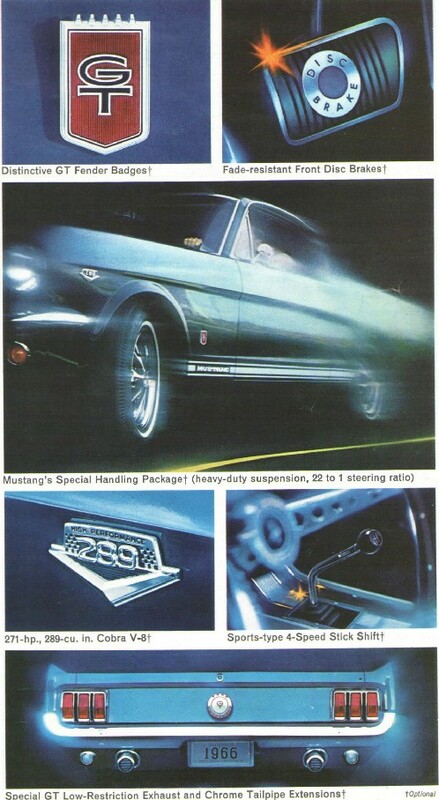 This again is also true of all 65 Mustangs that got the optional deluxe or pony interior. 7. The radiator support could be punched in one or two places. 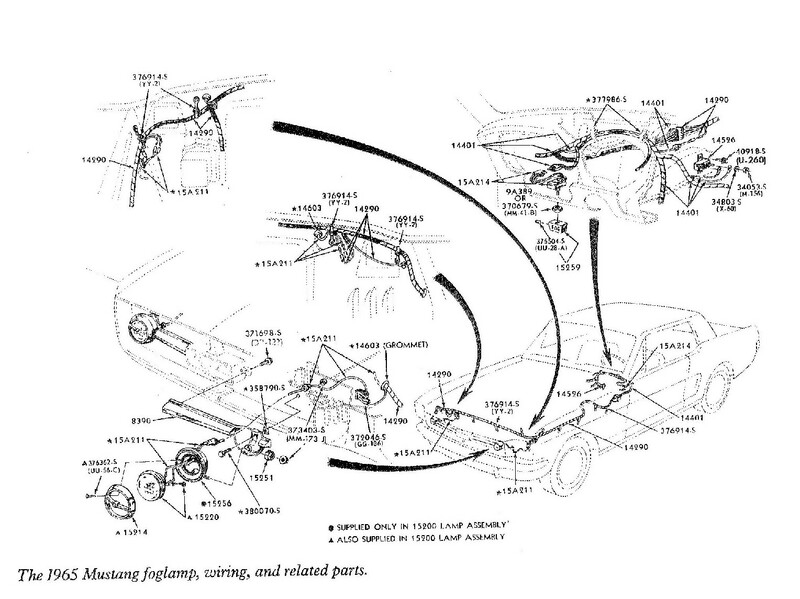 Look at the first wiring diagram below you can see the fog light wire being run through the head light harness hole. Update these holes were most likely drilled. It has been discussed and examined among many Mustang enthusiast on http://www.hipomustang.com/hpmx/ and determined that the factory most likely drilled the holes. This diagram confirms the above points. I found this is in a Mustang restoration book I believe this to be a copy of an original Ford diagram. 3. 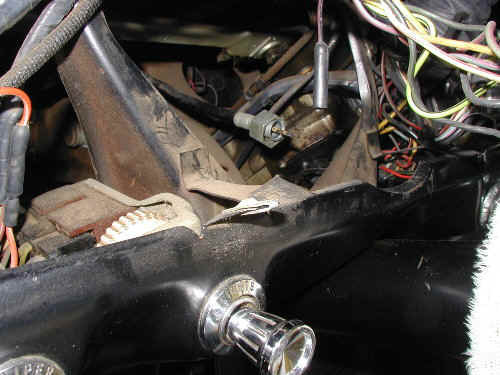 The radiator support should have two holes punched for fog light wiring. 4. The horizontal fog light bars are different from the 65s and so is the grill and the grill attachments points. The 66 grill itself was the same for all 66 Mustangs. The GTs used special brackets attached to the standard grill and it was blacked out (painted black). 5. Possibility that the rear bumper plate was changed to the 9 inch type plate (may only be plant specific). 7. The 66 GTs with standard interior got the regular glove box and instrument cluster all other 66's received. Again both years got the woodgrain and mustache upper edge instrument cluster and glove box door with pony interior GT or not. Since the standard fender badges were deleted there should be no evidence of those holes in the fenders, provided they are still original. The switch should be in one of the two places listed above and should be the correct type. 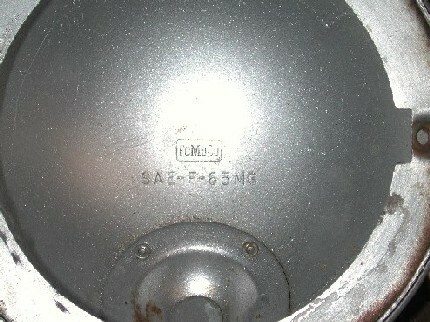 Original fog light housings have Fomoco stamped into them. 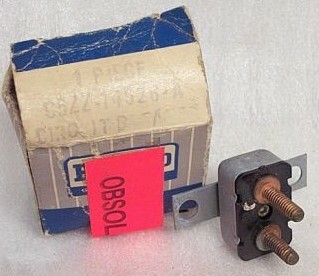 Original fog light bars have Prestolite and Fomoco castings on the backside. The fog light holes for wiring were punched so they should have a raised lip on the backside not a smooth lip like it was drilled. Update these holes were most likely drilled. It has been discussed and examined among many Mustang enthusiast on http://www.hipomustang.com/hpmx/ and determined that the factory most likely drilled the holes. 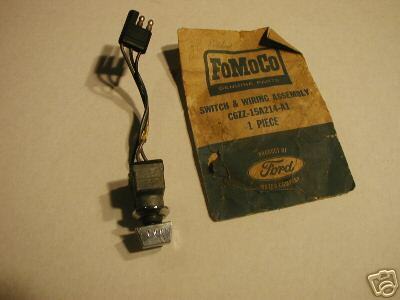 The original fog light switch chrome face had smaller typeface "FOG" than the reproductions. It also has a Fomoco casting on the backside its hard to see but it should be there. 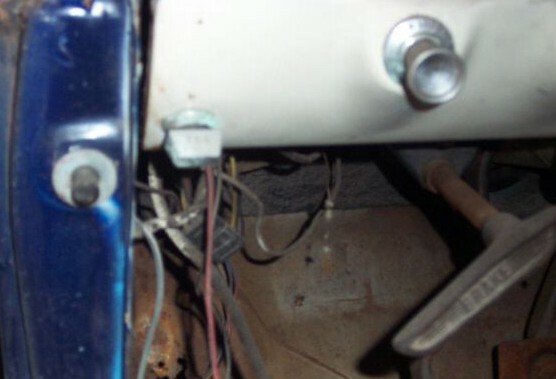 Fog light wiring in the 65 GT was integrated so a lot of the fakes will not turn on the rear tails lights when the fogs lights are on. The original 66 grill attachment brackets are different from the reproductions. I checked them out and found that they are indeed different I will be posting pictures shortly. The main difference is the rolled edge of the hole where the wire passes through. The original Gas cap is painted with flat paint the reproductions are glossier. It will also have the makers mark (SM inside a circle) stamped on the back of the cap. 1. The transmission needs to be 4 speed manual no automatic transmission. This is probably derived from some truth. It actually only applies to 1965 K code mustang where the only transmission available to that engine was the 4 speed manual. 2. 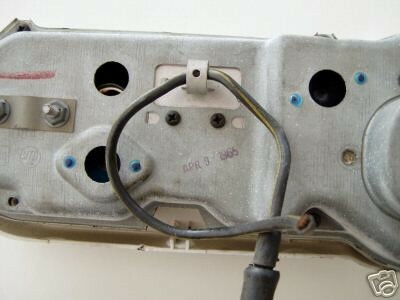 The Fog light switch has only one location and the hole provided was a 3/4 round hole. Again not true, but is probably derived from the earliest GT's location of the switch. There are actually two known locations of the switch. 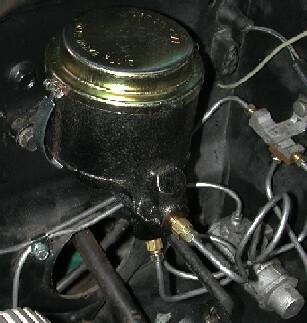 The 3/4 hole idea comes from the early location of the switch. I believe that all mustang have the two 3/4 round holes on the drivers side bottom of the dash panel this is where the early GT had the switch located. The 2nd location of the hole was provided at assembly time not in the initial stamping of the sheet metal so the hole was a punched, completely round hole. 3. The radiator support will have two holes punched for the fog lights wiring. This is not true a change was made sometime during mid production 1965 and it’s possible that not all plants followed the change right away. I have also heard from several 65 GT owners that they only have one hole on the passenger side. Update these holes were most likely drilled. 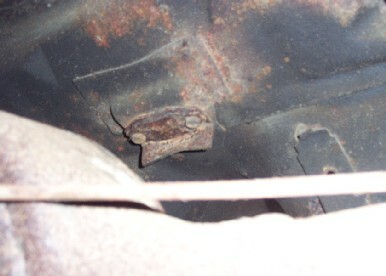 It has been discussed and examined among many Mustang enthusiast on http://www.hipomustang.com/hpmx/ and determined that the factory most likely drilled the holes. 4. GT option included the Style Steel wheels and/or Rally pack. Again not true, but it’s probably a misconception since so many restored Mustangs have all these option together. 5. The interior decor group or pony was part of the GT options. Again not true, but it’s probably the same reason as above. The glove box door and the gauge cluster was different however. 6. Its OK to fake a 1965-1966 GT car and say it's a "Factory" GT .